There are several apparent haunted places in Massachusetts. 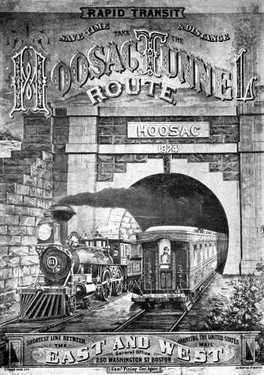 The Hoosac Tunnel is considered to be one of the more popular locations for close encounters with beings from the spiritual world. In the early days of the year 1819, several individuals proposed that a tunnel be constructed in the way of a canal being built. This canal was to rest beneath the area of Berkshires in the Western area of Massachusetts. The individuals who proposed the idea felt that it would prove to be an ideal means of trafficking goods, and various types of materials from the area of Boston to the western areas that required them. Here, you will learn about why the Hoosac Tunnel is considered to be one of the most popular haunted places in Massachusetts. The Berkshire Mountains were determined to be detrimental as far as business was concerned. This is why consideration of a tunnel canal was proposed. However, the steam locomotive was introduced and the plans quickly transitioned from a tunnel canal to a tunnel for the railroad. In the year of 1851, a local railroad company by the name of “Troy and Greenfield” finally started construction on the project. It took nearly 22 million dollars and twenty four years to finally complete the railroad tunnel. The reason it took so long was that the original project had to be stopped and the construction had to start over in a new spot, just to the right of the original hole. Eventually, the crew decided to implement the use of Nitroglycerine in order to blast a hole for the tunnel. While the endeavor was successful and the crew found the substance to have the power to handle such an immense project, dozens of the men that served on the crew were killed. Then, there were some who experienced serious injuries as a result of the immense explosion. Over the course of time, these men would not be the only ones to lose their lives. It has been estimated that approximately two hundred different individuals met their fate in construction of this long and broad tunnel. The men that died in the construction of the tunnel died in several different ways. These ways included that of fires, collapses, the Nitroglycerin explosions, and even through the means of another’s hands. 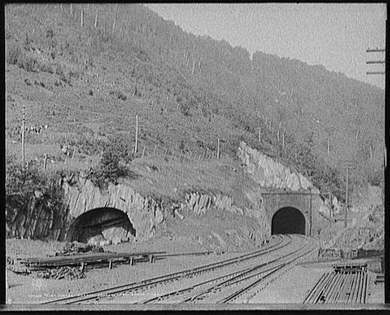 The locals began to refer to the Hoosac Tunnel as the “Bloody Pit”. In the year of 1865, three men set out to use the Nitroglycerin to complete the project. One man, by the name of Ringo Kelly set off the explosives before the other two men made it to a safety point. It was after this, and the two men died, that Kelly disappeared. One year and ten days later, his body was found dead at the location where the initial two bodies were discovered. The apparent cause of death seemed to be strangulation. The locals and members of the crew alike began to believe that the spirits of the two men killed Kelly. It was then that the rumors started about this area. Many started to consider this to be one of the most haunted places in Massachusetts. Upon investigation by a group of soldiers in the year of 1868, the sounds of a man crying out in what appeared to be complete agony could be heard that this exact location. This occurred in September. In October, a massive gas line broke and destroyed a station that pumped water killing thirteen different miners. It was shortly after these men died that several locals indicated seeing ghostly apparitions of the miners lingering in mist around the top of the mountain. When investigated, there were no footprints, or any other indication that someone living had been in the location, much less a large group all at once. The Hoosac Tunnel has been rumored to carry several spirits. Many living individuals have claimed to have seen apparitions, strange lights, and other unexplained phenomenon. One individual even claimed to have been beat by his own rifle at the hands of spirits. In addition to this, several people have entered the woods surrounding the tunnel to never be seen again. Is the Hoosac Tunnel truly one of the most haunted places in Massachusetts? You decide!